Born in Somalia but resident in Greater Manchester, HMD is a multi-talented artist and active community member making considerable waves with his art. 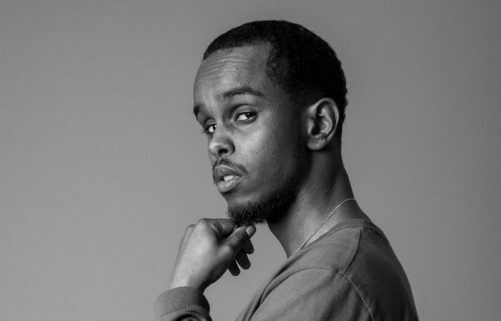 Not only can he rhyme, sing and produce, he’s also been involved in See My Dunya, an exhibition shining a light of the Somali-British experience, and his current involvement in the Future Bubblers program is certain to see his craft develop further. Ahead of HMD’s set at Band on the Wall on 19th April, alongside Evabee, Ramriddlz and Robin Knightz, we spoke to the wise and headstrong singer-songwriter about his new track Deen, the importance of community and the artists he’d call for a fantasy recording session. We were first introduced to your music when you opened for GAIKA at Contact’s Black Sound Series, back in 2016. How have you developed as an artist since that time? On your new single Deen, we hear you rapping, singing and producing the instrumental. Was creative self-reliance your goal starting out, and what are the key advantages to having total control over the production of your music? Deen has a few meanings and connotations. For those unfamiliar with the term, please can you tell us about the significance of the word and what it represents in the new single? You were recently announced as one of 2019’s Future Bubblers. Can you tell us about how that came to fruition and what you hope to set in motion over the span of the project? You were involved in the first BPM Get Together last year – an event which brings together creative individuals from throughout Greater Manchester. What are your thoughts on the importance of a creative community, collaboration and reciprocal support amongst creatives? If you could be given the keys to any studio in the world tomorrow morning and afforded 24 hours to cut a track there, which studio are you picking and who are you calling to the session?